Come out and join us for The Center SpringFest! The Center Foundation, with the support of Judy Tuttle-Wurth from Urban Bicycle Gallery, has successfully secured Sunday, March 6, 2016 as a recommended ride for the BP MS150. 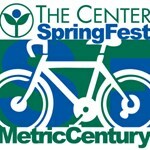 Our ride date puts The Center SpringFest event exactly five (5) weeks prior to the much anticipated BP MS150. We are so excited about revitalizing this event to raise awareness of The Center, Willow River Farms and the people we serve. We anticipate doubling the riders and sponsors of the event to provide increased support to our programs and services.